I finally got a few minutes to whip out a card for this week's Mix it Up! challenge that is really FREESTYLE!! ANYTHING GOES! Don't forget to check out the challenge and link up a creation to get entered into August's monthly giveaway! You will have until September 4th. See the buttons to the right to get you there! I first must say that I have not only been taking a breather from blogging, my house is a WRECK!! 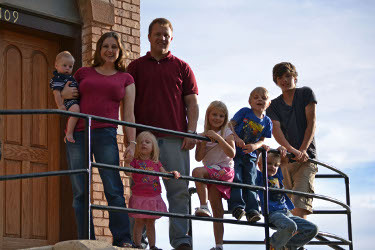 But we have been having so much family fun time and just enjoying having our daddy being back home. Today I did some household chores and thought I better get a challenge up! Only two days late!!!! Sorry! The challenge this week, the 4th week of the month, is Mix it Up! Which means it can be ANYTHING! I decided since there won't be a 5th Saturday this month and because of my crazy life right now I would just to FREESTYLE! YEAH! Which means ANYTHING GOES!!! Just create something, anything! and link it below! I'm not going to end this week's challenge until Sunday night since I'm posting it so late. So you have until Sunday, September 4th to link up your creation to get entered into the monthly drawing. This is the last week to get a chance to win August's monthly giveaway! I'll post my creation tomorrow! My husband has to go into work for a bit to do some in processing. 1. The current weekly challenge linky will be up until Friday night at midnight MST, usually! Be sure and link your creation back to the post of your submission and not just your blog home page. 2. When posting your creation on your blog or online gallery please link it back to the challenge here! This helps me to spread the word! 3. Please create something new for the current challenge and NOT use something you've made previously. 5. Let me know if I forgot something! I thought I would share a few photos! The littlest one finally woke up! It's so wonderful to have our family reunited again! He was missed a lot! 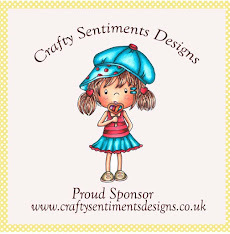 I have some awesome crafty things to share with you but have put it on the back burner for now! I'm sure you all understand! I'm so excited about a special surprise GIVEAWAY I have! I'm getting the post ready today and hopefully will get it done and posted tomorrow. However, tomorrow will be a VERY busy day! I will be picking up my husband at the airport around dinner time!! WOOHOO!!!! It's been a long 3 1/2 months, but I know others who have had a longer time without their loved ones. Plus, I'm thankful he didn't miss any big holidays this time. Thanks so much for checking in today! Check back tomorrow for the special giveaway! 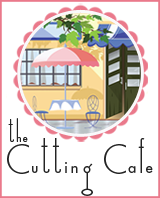 Challenge #1 and Giveaway ----- Carley G.
Challenge #3 and Giveaway ----- Sherry B. Thank You Giveaway! ----- Mubeena M., "love you blog, thanks for the giveaway!" Congrats to all the winners! Please use the 'Contact Me' button at the top of the page and send me your mailing information! I am humbled by how many readers, followers, and friends I have made in just two years! Thanks again, for all your support! I hope to continue to give you inspiration, challenges, videos, tutorials, and fun! What a crazy, crazy week! My college aged daughter is getting ready to head back to Provo, BYU, and my husband is and maybe even by the time you read this, on his way home, hopefully. So we have been literally coming and going and probably chasing our tails but staying busy! Anyway, with all the hustle and bustle here I decided to keep this week's challenge pretty simple: embossing! This week is the 3rd Saturday of the month so it's technique week. I chose embossing for this challenge. It can be dry embossing with a folder/plate or with a stencil and a stylus. Or wet embossing with those wonderful powders and heat guns. For my example I used the Dry Embossing technique with two different embossing folders: Square Lattice & Allegro. Boy with Saxaphone was cut at 5" from Quarter Note Cartridge. My 15 year old son plays the saxophone in marching band, and tonight (I'm writing this late Friday night) was the first game of the year. He is so awesome!!! And I am sooooo proud!!! I made this card for him! Card front: Chocolate Chip 4" X 5 1/4"
1. The current weekly challenge linky will be up until Friday night at midnight MST. Be sure and link your creation back to that post and not just your blog home page. 2. When posting your creation on your blog or online gallery please link it back to the challenge. This helps me to spread the word! I did butterflies and see my 'dandelion'! Gray for the rock?? Oh well! I tried! I just did these with an EK Success punch! Card front: makingmemories mat stack 4" X 5 1/4"
We all love the Cricut here in my house! My 19 year old that is home from college! Go BYU Cougars! She needed a birthday card and of course didn't want one of my premade. I am so impressed with how fast she put this together! Giraffe was cut from New Arrival cartridge. Mesh Cuttlebug embossing folder was used on the Chocolate Chip layer. I am also proud of my 15 year old son and must tell on him! He was in the kitchen with me when my daughter brought her card to show me. I told her maybe she should take a marker and draw in the eyes and mouth so they would show up better. Then my son says, "and how about some Googlie Eyes!" YES, I love him! He doesn't craft but he can definitely carry on a conversation about it! I must be raising him right! LOL!! I hope everyone is having a GREAT Wednesday! Today is the last day to get into all the Blogiversary giveaways! Remember just leaving a comment on each of the challenge posts gets you an entry into the Cartridge Giveaway! I'm so excited! 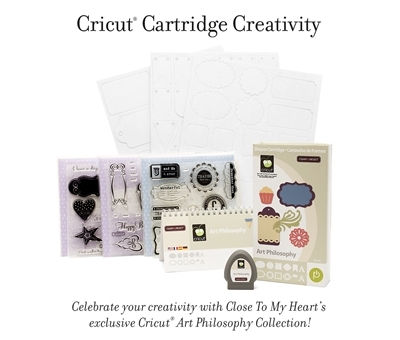 I just ordered the BRAND New Close to My Heart's Cricut Cartridge Art Philosophy Collection! Right now there is an AMAZING special going on! The Art Philosophy cartridge bundle pictured below is only $99 AND when you spend $75 you get the stamp of the month set for only $5!! 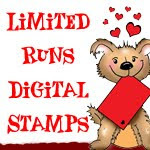 Plus, if that wasn't enough you get for a cute double stamp set FREE. Go here for all the details and to get yours today: The Craft Closet. Be sure and let them know Laurie sent you! I'm not affiliated with CTMH, just a very happy customer! This bundle has SOOOO much in it! You get the cartridge, THREE stamp sets that coordinate with the cartridge and some chipboard pieces (these are not showing up very well) that coordinate with the stamps as well!! I can't wait to get mine in! I plan on getting a video done as soon as I get it. So everyone can see the fun stuff you can do with this cartridge! These gorgeous flowers are just a tip of the ice berg of the fun images on this cartridge! Here are some more images! I can't wait to get mine! Can you tell I'm super excited? Only two Sundays left until my husband gets home! Here's a few pictures he sent me. He was so excited to get these! Me too! He's a pilot of a EC-130. It's so cool to know what our armed forces are capable of! My husband is flying here! He's on the right in the left seat. I'm so proud of my man! He's such a big kid and loves when the plane gets refueled while flying! I love that man! It's time to get out those scraps again! I'm a little late getting this up! I have out of town guests here. I haven't even had a chance to make my own creation this week using my scraps, but I wanted to get up the linky so you all can get your creation entered into the monthly drawing! I will be getting some play time in a couple of days and will show you what I can get out of my scraps! Just a recap and a place for everything that's going on right now on HIMCR, in case you are as confused as me. Thank You and a Giveaway! PHEW! Here's my last post for today! It's just one more giveaway to say how grateful I am for all of you! There wouldn't be anything to celebrate without you! Thanks so much! Just leave ONE comment on this post to get entered into the drawing. 1 cute heart embossing folder and 1 cutting die! Don't forget to check out the other giveaways and challenges! Just click on the titles! Remember you have until Wednesday, August 17th at midnight to get entered into the giveaways! Be sure and check out the guidelines HERE. Again, THANK YOU! for celebrating with me! Welcome to the 4th and final HIMCR 2 Year Blogiversary Celebration challenge!! Wax Paper Resist Technique! The fourth and sadly final challenge (This has been so much fun!) challenge is to make a card, scrapbook page or any paper project using the Wax Paper Resist technique. You will need wax paper, an iron, glossy cardstock, a paper towel, ink and a sponge or something to blend the ink. If you don't have all the supplies you can enter a project using designer paper. I did a quick video tutorial for you to see how to do the technique. I hope you get to try it. It is a lot of fun, easy & quick! I decided I needed to send my sweet. hard working, deployed husband one more card! He should be home in a few weeks! YIPPEE! Airplane was cut at 2.5" from Everyday Pop-Up cards. Top Note was cut from Elegant Edges at 2.5". Can you see my wonderful hubby in his green flight suit? 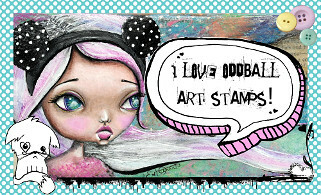 Card front: Wild Wasabi 4 1/8" X 5 3/8"
Stamps: SU Loads of Love Accessories and a very old set! I will look it up and add it later. Be sure and use the linky below to show what you come up with and to be entered into the drawing for the prize! Plus, just leaving ONE comment on this post and/or submitting your creation here gets you more entries for the Hello Kitty Greetings Cricut Cartridge! Thank you so much for joining me and celebrating my blog's 2 year anniversary! One more post in today's celebration will be up shortly!! Welcome to the 3rd HIMCR 2 Year Blogiversary Celebration challenge!! Bring Out the BLING!! The third challenge today is to make a card, scrapbook page or any paper project using any kind of BLING: glitter, pearls, rhinestones, pearl ex, stickles, you name it! I can't wait to see what blingy creation you come up with! Did I take the bling too far? Is that possible? LOL! Butterfly was cut at 3" from Everyday Pop-Up Cards. Card front: Pink Pirouette 4" X 5 1/4", DCWV 'The Glitter Stack' 3 3/4" X 5"
Be sure and use the linky below to show everyone what you come up with and to be enter into the drawing for the prize! Thanks so much for playing along and celebrating with me today! Welcome to the 2nd HIMCR 2 Year Blogiversary Celebration challenge!! The second challenge is to make a card other than just standard card. It can be a different shape, cut or fold. I decided to do a Pop-Up card. Also, I did a video tutorial for you. Elephant on front was cut at 3". Pop-Up cut at 5 1/2"
Base 'card' feature cut at 5 1/2". Card front: Ruby Red 3 3/4" X 5 1/4", Sage Shadow 3 1/2" X 5"
Be sure and use the linky below to show what you come up with and to be enter into the drawing for the prize! These will work in most manual die cutter machines. Next challenge will be up in one hour! Welcome to the 1st HIMCR 2 Year Blogiversary Celebration challenge!! Buttons & Bows!! 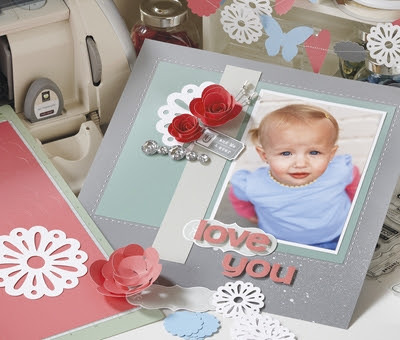 The first challenge is to make a card, scrapbook page or any paper project using Buttons & Bows! I can't wait to see what you come up with! You don't have to use this many buttons! LOL! Cake layers were cut at 2.5"
Card front: Purely Pomegranate 4" X 5 1/4"
Accessories: Cricut & Straight from the Nest cartridge, Cuttlebug & Houndstooth embossing folder, SU Purely Pomegranate ribbon, and BUTTONS! Be sure and use the linky below to show everyone what you come up with and to be entered into the drawing for the prize! Buttons, Bows (ribbon) and some flowers too! HIMCR Blogiversary Celebration & Cartridge Giveaway! Welcome to the HIMCR Blogiversary Celebration! I can't believe my little blog is two years old today! I want to first thank all my readers and supporters and friends I have made along the way! In order to celebrate I have planned some fun challenges and prizes for you. To see the schedule and guidelines please go here: Blogiversary Celebration! When uploading your creations you can use ANY gallery, internet photo housing site, blog post, etc. Basically anything that has a 'link' or url! The linking tool will be at the bottom of each challenge post. I can't wait to see all the GREAT creations!!! If you have any questions the quickest way to get them to me today is to use my Facebook page as I probably won't have time to check my email during the challenges. Thanks for joining me today! It should be a lot of fun! To kick it all off here is the first giveaway! A Hello Kitty Greetings Cricut Cartridge! You will have many chances to get entered into the random drawing for the Hello Kitty Greetings Cartridge! 1. Leave ONE comment on this post! 2. Create and submit your creation for each challenge, up to four chances! Be sure and follow the few easy guidelines HERE to make sure your project will be counted in the drawing. 3. Leave ONE comment on each challenge post! Up to four chances to get entered! 4. Come by my facebook page HERE, find the post about the Hello Kitty Greetings Cartridge giveaway and leave ONE comment there. You will have to 'like' my page in order to leave a comment over there. Up to 10 chances to get into the drawing for the Hello Kitty Greetings Cricut Cartridge!! The first challenge will be up in 30 minutes!! Join me in celebrating HIMCR's 2 Year Blogiversary! WHAT: There will be a challenge with a prize every hour, and couple of extra giveaways just for checking in and videos too! There will be a BIG PRIZE you won't want to miss! WHO: Everyone and ANYONE can join in the fun! Whether crafting alone or with friends! PLUS, join me on my Facebook page for a virtual party or if you have any questions. You will have to 'like' my page to leave comments over there. WHY: To celebrate and because it will be fun!!!!! Who really needs a reason! Also, remember if you can't play along with us on Thursday the challenges will be open for almost a week, until Wednesday, August 17th at midnight! 1. For the 'Just leave a comment' giveaways please leave only one comment. 2. These challenges are meant to take only 1 hour to complete. 3. Please do not combine any of the HIMCR challenges. However, you can combine with another challenge on a different blog or website. 4. Please when using the linky, link the picture back to the actual post not just your blog. Also, when posting your creation on your blog please link it back to my challenge. This helps to spread the word and let others in on the fun! 5. Make sure your creation is something you make for the challenge and NOT something you've made previously. I am soooo excited to be doing this!! JOIN ME and PLEASE HELP SPREAD THE WORD!!! 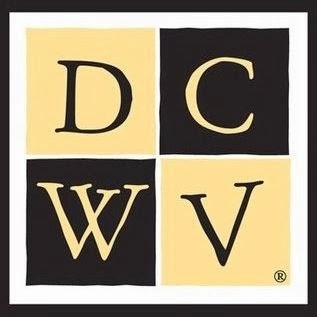 The Chocolatiers from http://www.cropchocolate.com/ were asked to submit an entry to become a member of the new Focus Group! I'm so honored to be in this group and share my opinion of products. 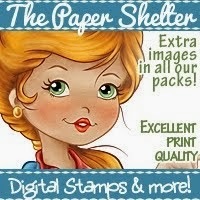 Be sure and check out there daily yummy deals! Can you see the glittery die cuts? Card front: Paper from makingmemories Vintage Hip Collection 4" X 5 1/4"
Everything but the card base and ink is from Cropchocolate.com!! Here's the giveaway for the month of August! To get entered into the drawing just check out the current challenge and link up a creation! The button on the far right will take you there! You will have up to 4 chances to enter this month. Once per week! A NEW challenge will go up each Saturday! You can see all the details, schedule and guidelines here: Challenges! Thank you all soooo much for participating in my first month of challenges! I think we are off to a good start! Congratulations Priscilla! Please use the Contact Me button at the top of the page to send me your shipping information! Be sure and check out this week's color challenge! Today is a special day for one of the members of The Color Dare design team. Lesley!! 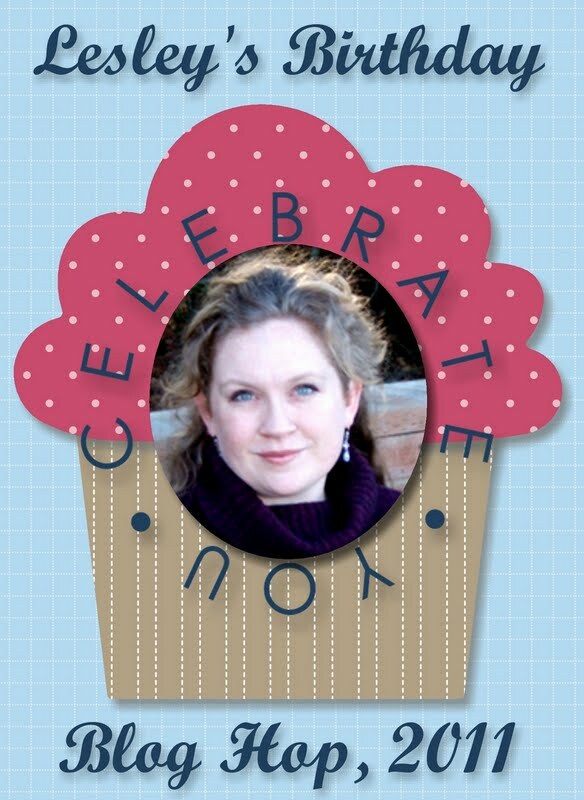 In honor of her we are having a Birthday themed Blog Hop!! FUN! FUN! FUN! Be sure and check out Lesley's blog too - Always Playing with Paper. She is super creative and you are bound to find some amazing inspiration there! If you are following along with the Hop you probably came from Lauri's blog - Paperville. She's my blogging friend without an e! We think its funny! 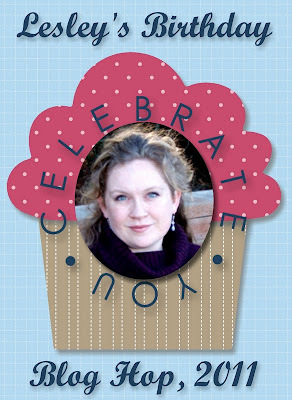 The list of the blog hop participants is at the bottom of this post to let you know where to go next to celebrate Leslie's Birthday with us. Girl and layers were cut from Twinkle Toes Cartridge at 3.5". Label was cut at 1". Card front: PTI Beryy Sorbet 4" X 5 1/4"
Happy Saturday! Welcome to a new month of challenges! The challenge this week, the 1st week of the month, is a Color Challenge! My favorite!! I typically use SU cardstock but you can you any brand. You have until Friday, August 12th to link up your creation to get entered into the monthly drawing. Linky at the bottom of this post. Mushroom was cut from Cindy Loo Cartridge at 3". The winner of July's Giveaway will be randomly chosen and posted Monday! Thanks so much for all that participated! Be on the lookout to see August's Giveaway!! Hey! I hope everyone is having a great Friday! Thank you so much for all those participating in the HIMCR challenges! I just wanted to give a quick shout out and reminder that this is the last day of the Freestyle Challenge. 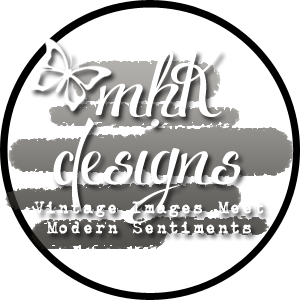 A chance to link up ANY creation and enter July's monthly giveaway! Go HERE! You have until midnight MST! I will be picking a winner out of all July's challenge participants using random.org and posting it on Monday! So be sure and check back for that! Plus, don't forget a NEW challenge will be up tomorrow, Saturday morning! Next week is a color challenge! You know those are my favorite! I just needed some time to play! No story, no reason, just some therapy! Turtle layers were cut from Creat A Critter at 1.75". Grass was cut at 2.25". Card front: SU Only Orange 4" X 5 1/4"
I not only HATE bats but I'm really really afraid of them! They just give me the creeps! One night this past week my daughter, who is home from college, had a little get together with some of her friends. About 1 AM one of the girls was leaving and was scared of the moths that had gathered around the front porch light so they turned off the light. Just as my daughter opened the door the largest bat I've ever seen flew into our house! YES! INSIDE MY HOME!!! I was upstairs about to fall asleep, heard the door slam, 5 girls scream, and someone say did it get in! I immediately knew! I didn't know whether to turn the hall lights off, leave them on, or WHAT! I did some googling in my room with my door shut because that sucker keep flying up the stairs right at me with the door cracked then back down and swooping around our front room! I came across an article from http://www.batconservation.org/. I have to admit, sorry to any animal lovers, I don't care about ,especially at that moment, conserving ANY bat!! Anyway, this article was about catching it, keeping it away from children because when frightened they might bite, and how to get it out of the house with a BROOM or PILLOW CASE! Are you kidding me? Me, scared to death hiding behind my door, catch it!!! I am ashamed to say that with that thing flying around, right up the stairs, right at me peeking through a crack where my door is, I was immobilized. So my daughter did the Army crawl to close the upstairs bedroom doors. One of which, was where my boys wanted to both sleep on the top bunk!!! But the article did tell me that bats CAN see, to shut as many doors as possible, to turn ON all the lights including the outside light, and leave the door open. After being scared to death for about 40 minutes it flew out the front door! So I decide to send the girls that were so brave and still here for the whole bat episode a cute little card! When I showed my daughter the cards she said, "Those bats are a lot cuter!" I soooo agree! Bats were cut from Paper Doll Dress Up Cartridge at 2" using Fit to Length at 5.5" with Real Dial Size ON. Sentiment ovals were cut from Storybook 1.75" and 2.25" with Real Dial Size ON. Card front: the Paper Studio 'Oops-A- Daisy' pack 4" X 5 1/4"
Hiding in My Craft Room where the only bats are made of paper!! !